Carsten was CEO of the Deutsche Börse Group from 1 June 2015 to 31 December 2017. Previously he was Chairman and CEO of UBS Investment Bank, and Member of the Group Executive Board of UBS AG. Carsten joined UBS in 2008 as Global Head of FICC, and was promoted to Head of the Investment Bank in 2009. Prior to that and during his eleven years at Goldman Sachs, he was a Managing Director and Partner, Head of Asia Securities Division, as well as Head of Structuring and Sales across FICC and Equities EMEA. He started his career in credit derivatives trading at Barclays De Zoete Wedd Ltd. Carsten is currently visiting professor in the Department of Finance at the London School of Economics and Political Science and CEO of Hermon Capital. Carsten earned an MSc degree in Finance and Accounting from the London School of Economics in 1992, and a BA in Business Administration from Middlesex University in 1991. Matterino is the Chairman and majority shareholder of the Fininc Group which has various business lines including construction, concessions, agribusiness, engineering and logistics, hospitality and real estate. Matterino is also the Chairman of SIS, the joint venture company established with Sacyr in 2005 to pursue EPC opportunities in the highway and railway sectors. Matterino holds the prestigious awards of “Onorificenza Merito Ufficiale della Repubblica”, “Onorificenza a Commendatore” and “Commendatore del Sovrano Ordine di Malta pro merito melitensi”. Manuel is a Civil Engineering graduate from the Escuela Técnica Superior of Madrid. He has more than 35 years of professional experience in the construction, infrastructure concessions, services, real estate, property development and energy sectors. He began his professional career at Ferrovial. In 1987, he was one of the core founders of Sacyr, becoming the International Manager of the same in the late 90s, and then the General Manager for Construction in 2001. In 2003, coinciding with the merger of Sacyr and Vallehermoso, Manuel was appointed Chairman and Managing Director of the Construction Division; and Member of the board of Directors of the new Sacyr Vallehermoso Group’s parent company. In November 2004, he was appointed First Vice-Chairman and Managing Director of Sacyr Vallehermoso SA as well as Member of the Group’s Executive Committee. Since October 2011, Manuel has also held the position of CEO and Chairman of the board of Directors of Sacyr SA. Manuel was also a Board Member of other companies of the Sacyr Group, such as Testa Inmuebles en Renta SA, among others. 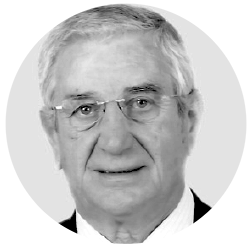 Manuel was appointed Board Member of Repsol and Second Vice-Chairman by the agreement of the Board of Directors of 25 April 2013, subsequently ratified and appointed by the General Shareholders’ Meeting of 31 May 2013. Roland Koch serves since 2011 as chairman of the supervisory board of UBS Deutschland AG. From 2011 to 2014 he served as CEO and Chairman of the Executive Board at Bilfinger SE, Mannheim. His areas of responsibility included corporate strategy, human resources, legal compliance, project controlling, communications & marketing and group organization. Koch was appointed to Premier of the Federal State of Hessen from 1999–2010. He was elected deputy-chairman of the Christian Democratic Party in Germany from 2004-2010. As a Member of the Hessian state parliament he served from 1987 until 2010. Concurrently he was Chairman of the CDU parliamentary group in the Hessian Parliament from 1993 to 1999. In 1986 he founded his law firm “Koch & Partner” where he worked until 1999 with a special focus on business and labor law. Koch completed his final state law examination in 1983, followed by his second state law examination and admission as a lawyer in 1985. 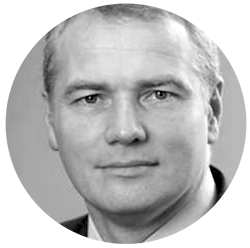 Carsten is a Managing Partner of Circuitus Capital based in the London office. Carsten was CEO of the Deutsche Börse Group from 1 June 2015 to 31 December 2017. Previously he was Chairman and CEO of UBS Investment Bank, and Member of the Group Executive Board of UBS AG. 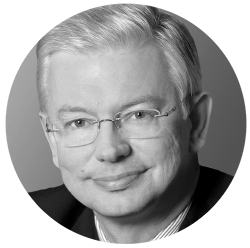 Carsten joined UBS in 2008 as Global Head of FICC, and was promoted to Head of the Investment Bank in 2009. Prior to that and during his eleven years at Goldman Sachs, he was a Managing Director and Partner, Head of Asia, Securities Division as well as Head of Structuring and Sales across FICC and Equities EMEA. He started his career in credit derivatives trading at Barclays De Zoete Wedd Ltd. Carsten is currently visiting professor in the Department of Finance at the London School of Economics and Political Science and CEO of Hermon Capital. Carsten earned an MSc degree in Finance and Accounting from the London School of Economics in 1992, and a BA in Business Administration from Middlesex University in 1991. 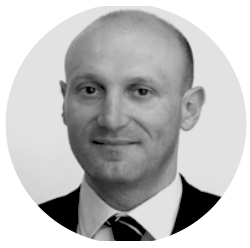 Niccolo is a Managing Partner of Circuitus Capital based in the London office. Niccolo started his career in 1998 at Swiss Bank Corporation focusing on Debt Capital Markets and Derivatives Marketing. He covered a number of other roles before moving to Goldman Sachs International in 2003 to Head their Financing Group. In 2004, Niccolo returned to UBS to take over the Fixed Income, Currency and Commodity Solutions mandate for Italy and later for Central and Eastern Europe and the Middle East. Niccolo was a Managing Director and member of the Management Committee for the business in Italy as well as part of the European Fixed Income Management Committee. Niccolo then moved to BTG Pactual as a Partner in 2010 where he was responsible for the Asset Management business in EMEA as well as for building the bank’s client facing and investment banking business. Niccolo graduated in Italy at “La Sapienza” University of Rome and was awarded an undergraduate degree in Business and Economics. 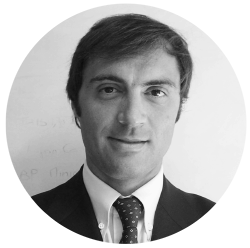 Claudio is a Managing Partner of Circuitus Capital based in the Italian office. 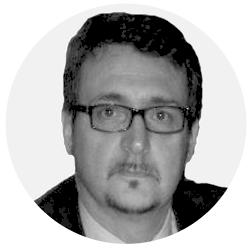 Claudio started his career in 1998 working for the Fininc Group. Claudio is the CEO of the Group Holding Company and the General Contractor division. He is also a Board Member of the other divisions within the Group. Claudio has always been focused on the infrastructure related projects of the Group directly leading the efforts in a number of large and important projects including the Variante SS 24 between Cesana and Claviere; Train system of Palermo; Tram system of Palermo; Macrolotto n. 2 Highway from Salerno to Reggio Calabria; and the Pedemontana Veneta. Claudio is a Civil Engineer specialized in structures and graduated in Italy at the Politecnico of Torino in 1998. 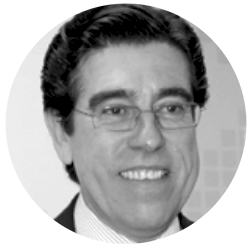 Carlos is a Managing Partner of Circuitus Capital based in the Spanish office. Carlos graduated in Civil Engineering at Universidad Politécnica (Madrid) and has a postgraduate course in Business Administration at IESE (Madrid). He has more than 26 years’ experience in the construction and infrastructure sectors and has worked in management, business development, project finance and M&A transactions related to infrastructure projects (roads, metros, hospitals, transportation hubs, airports, ports, water & waste, and energy). His construction and infrastructure experience has been at Ferrovial, OHL and Sacyr Group. In his various positions, he has been member of the board of numerous assets in over 8 countries, and has been involved in several M&A transactions with infrastructure funds, pension funds and family offices. 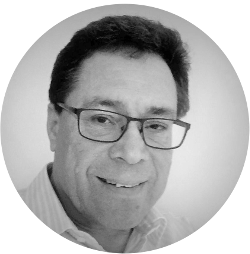 Carlos is also the Chief Financial Officer of Sacyr, grouping the finance, investor relations, budgets, administration, taxation, and general purchases-services functions. 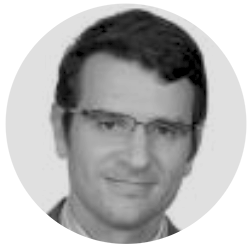 Roberto has over 20 years experience in investment banking and principal investments working in Milan and Geneva. He has developed a career as a financial analyst with a specialization in utilities, motorways and the oil sector in institutional equity brokerage at Epta Sim (Italian saving banks), Crédit Agricole Cheuvreux and KeplerCheuvreux where he headed the Italian equity research team and became a member of the Pan-European sector teams for oil and utilities. 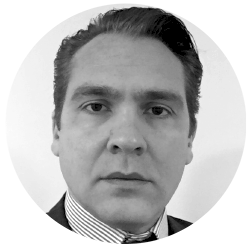 Roberto has developed skills in financial modelling, analysis and valuation methodology together with strong relationships with global institutional clients and European listed companies. Before joining stockbroking firms, he worked as a risk analyst at the loans desk of an Italian regional bank. In 2012, Roberto also co-founded VintHedge SICAV SIF, a Luxembourg-based alternative investment strategy. Roberto graduated in Italy, at Università di Torino with a degree in Economics and a degree thesis in Econometrics. Fabio is an Investment Team member of Circuitus Capital based in the Madrid office. He has more than 11 years of professional experience in the infrastructure concessions, construction, services, real estate, property development and energy sectors within the Sacyr Group. He began his professional career at Sacyr in 2007 as a site Engineer in a housing development project. In 2008 he was named production manager of the M50 highway (Dublin), being the youngest structure engineer manager in the company. In 2012 he was named Business Development Director of Middle East & Europe and in 2015 he was named Managing Director of Sacyr Servicios, leading a workforce of more than 400 employees and managing revenues of €40 million. Since 2017 he is a member of the board of directors of Sacyr Concesiones and COO of Sacyr Concesiones in Europe in charge of revenues of €172 million. Fabio also co-founded a mining company, Solana del Pico SL in 2010. Fabio is a MEng Civil (Universidad Alfonso X el Sabio, Madrid) and also holds a Master of Business Administration (MBA) from IESE business school (Barcelona, Spain). Giovanni started his career in 1999 at Banca Finnat focusing on M&A. In 2001, he moved to CFN, an Independent corporate finance advisory firm and Italian Advisor of Fondo Sistema Infrastrutture, a private equity fund owned by the Italian Chamber of Commerce. In CFN he performed M&A operations and deal origination for private equity funds. In 2007, Giovanni joined Officine CST in Rome, a service provider offering advanced outsourcing solutions to major financial institutions. As Senior Manager he developed financial services in partnership with Deutsche Bank, Credit Suisse and Royal Bank of Scotland. He was also a board member of Officine NPL Spa, a subsidiary of Officine CST Spa, that provides non-recourse purchase services on a revolving basis to several companies. In 2011, Giovanni became a Partner of Qualitekna, a management consulting firm, now a Deloitte Consulting company, active in the financial sector with clients such as Mastercard, Aegis Dentsu Network, banks, private equity and venture capital firm. Giovanni graduated in Italy at “La Sapienza” University of Rome and is a member of Italian Association of Financial Analyst. 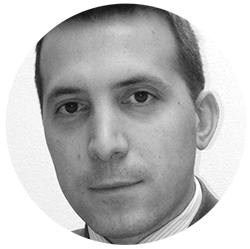 Massimo has over 10 years experience in investment banking, principal investments and financial services. He began his career as a credit risk analyst in ABN AMRO. In 2005, he moved to BCC Capital, an advisory firm dealing with M&A transactions and debt arranging for SMEs. Once BCC Capital was incorporated by Iccrea BancaImpresa, the corporate & investment bank of Italian Cooperative Banking Group, he contributed to the establishment of the Corporate Finance & Specialized Lending Department being involved in structured & leveraged finance, acquisition finance, LBOs, project & public finance in industrial, infrastructural, multiutility (gas, hydro, waste management) and shipping sectors. He also worked on several M&A deals from origination to closing phases. Since 2011 he was Head of Corporate & Shipping and Head of Acquisition Finance. During his time at Iccrea, he worked as a financial advisor in all stages of the Pedemontana Veneta Project. Massimo has a solid background in valuation and credit risk analysis and he has been involved in financial modelling for several project finance deals in the motorway, healthcare and parking sectors as well as private and public construction initiatives. He graduated from Bocconi University in Milan with a degree in Business and Economics. Nick Dawson is a chartered Civil Engineer with more than 20 years experience overseeing the development of more than 50 PPP projects. Nick was a founder member of Carillion’s PPP business in 1993, and had early success bidding and winning three of the initial U.K. DBFO highways projects. He went on to oversee their construction phases, and subsequently sat on the SPC boards through the early operations periods. In 2002, Nick joined the German services company Bilfinger as the Managing Director of its U.K. PPP business. In 2006, he became Managing Director of Bilfinger’s global PPP business, and moved to Germany, where he led a team of 70 staff based in four global hubs. In 2008, Bilfinger transferred its PPP investments to a Luxembourg based SICAR fund, and Nick relocated to the principality for four years. During his time at Bilfinger, Nick led a business that created Euro 600m of PPP investment volume through 40 individual projects, and consistently delivered on target returns for the group. In 2012, Bilfinger sold its investments to a London listed fund, and Nick continued in his role at Bilfinger for a further three years before leaving the group at the end of 2015. Nick has a degree in Civil Engineering and an MBA from the Cranfield School of Management. Pablo Mochon started his career in 1996 working for the construction division of Sacyr Group in Spain. In 2004, he joined Vallehermoso (Sacyr Group) to serve as Regional Technical Director (Area Sur). From 2007 to 2009 he was Regional Director (Eastern and Central Area), where he was Head of Business Development for Madrid, Castilla la Mancha, Portugal & Canarias, with sales of over €200 million per year. In 2009 he was appointed CFO of Vallehermoso, leading the company’s debt refinancing. Between 2012 and 2015, Pablo worked for Sacyr Concessions as CFO, in charge of financing the company’s PPP projects. From 2015 he was the Chief Risk Officer and Chief Technical Officer of Sacyr Concessions. 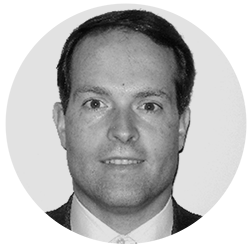 Pablo is MEng Civil (Granada) and also holds a General Management Program (GMP) for IESE. Silvio is an Operating Professional of Circuitus Capital based in Italy. Silvio is a chartered accountant with over 20 years of extensive hands-on-experience in the preparation and analysis of financial statements of companies with activities in various commercial and industrial sectors. In 1991, Silvio joined Fininc Group where he has held different responsibilities. Silvio was the director responsible for supervising the management of the operating companies and business planning for the holding of the Fininc Group. Since 2000, Silvio is a Chartered Accountant registered in the “Ordine dei Dottori Commercialisti ed Esperti Contabili of Torino” and graduated in Italy at the professional technical Institute Vittorio Valletta of Torino in 1982. 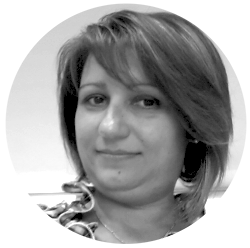 Wanda is an Operating Professional of Circuitus Capital based in Italy. Wanda was a manager in the Fininc Group from 1991, with managerial and administrative functions. She was responsible for preparing, on the administrative side, all public tenders (related attachments, insurance, etc.). In 2010, she became responsible for the administration of all foreign tenders, including the ones in Argentina, Slovakia, Albania and Bulgaria. She also followed the administrative department relating to the insurance policies following the awarding of the major Italian works such as the Superstrada Pedemontana Veneta, Autostrada Salerno-Reggio Calabria, Palermo Tram System and Palermo Railway System. She also managed all the administrative duties of the existing concessions, (such as renewal, extensions in progress as a result of additional contractual acts or special requests from the client, claims and claims management). Wanda also managed the financing of all the machinery necessary for the execution of the works and of all the insurance coverage of the personnel. 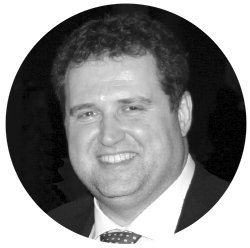 Paul is Chief Operating & Risk Officer of Circuitus Capital based in the London office. 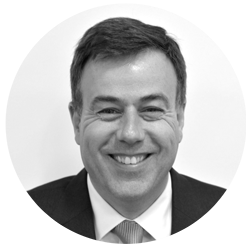 Most recently Paul was Chief Operating Officer at the Investor Forum, where he was responsible for all financial, operational and risk matters. Previously Paul was at UBS for 15 years working as Chief of Staff in the Investment Bank. During this time he also spent two years in Brazil leading the integration of the Pactual banking, asset management and wealth management business. Before that Paul spent 4 years at JP Morgan where he provided financial support for various European functions. He also spent 2 years at CS First Boston in Financial Control working on the integration of Credit Suisse and First Boston. Paul has a BSc in Accounting and Finance from the University College of Wales and qualified as a Chartered Accountant in 1994. 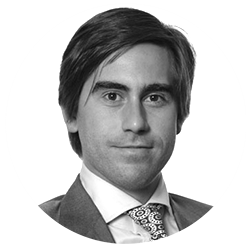 Felipe is responsible for all fundraising and investor relations activities at Circuitus Capital, based in the London office. Most recently he was Board Member and Chief Financial Officer of AMS, a Silicon Valley based environmental technology company, where he led its fund raising and international business development activities. Felipe has previously held senior positions with Macquarie Group and BTG Pactual, where he built extensive global experience investing in the infrastructure, utilities, renewables and resources sectors. 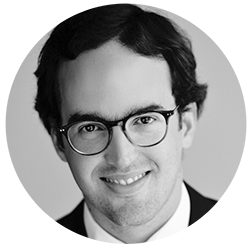 Felipe has a MSc degree in Finance and Economics with distinction from the London School of Economics and a BA degree in Economics with highest honours from Insper in São Paulo. 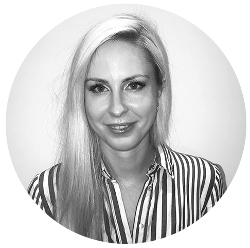 Sarah trained and qualified as a solicitor of England and Wales in 2012 and is based in the London office. Sarah’s legal career started at Simpson Thacher & Bartlett LLP’s London office where she worked in private equity acting for sponsors/general partners throughout fund formation/structuring, fund raising, closings and during the investment period as well as attending to secondary transfers of investors’ interests. Subsequently, Sarah worked at Dorsey & Whitney (Europe) LLP where she practiced M&A and specialized in intellectual property, technology and information law. Sarah conducted work for clients seeking to acquire/dispose of companies as well as advising technology start-ups and joint venture vehicles on licensing and collaboration arrangements, commercial contracts and dispute resolution. In 2015, Sarah joined Walkers Global (Jersey office) working in corporate investment funds, banking and trusts. Matters included advising clients on fund formation, regulatory issues and exemptions, establishing and acquiring/disposing of Jersey property unit trusts, entity migration and financing/restructuring transactions. Sarah graduated with a first class law degree ((LLB) honors) from Kingston University, London and was awarded a distinction in the Legal Practice Course from The College of Law, London.